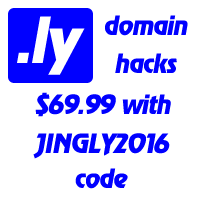 As noticed today Say.ly is used internally by popular online WhoSay service for short and catchy links on Twitter and beyond. WhoSay is a service that helps artists, athletes and iconic personalities connect with their fans. When you see someone posting via WhoSay, you'll know that it's real, authentic messages, photos and videos coming from your favorite people. At this time, WhoSay is an invite-only service for the top content creators in the world. As a fan, you may arrive at your favorite artist's, athlete's or personality's WhoSay page by visiting their existing social media sites.